who died July 26th 1890. Aged 55 years. I shall be satisfied when I awake thy likeness. 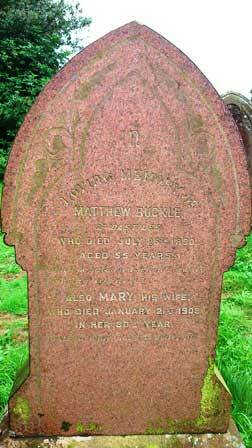 Also Mary his wife who died January 21st 1908 in her 80th year. To dwell with Christ is better life.